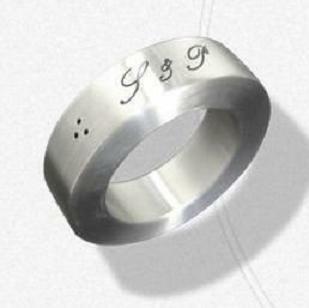 Collection of 'Creative and Cool Napkin Ring Designs' from all over the world. 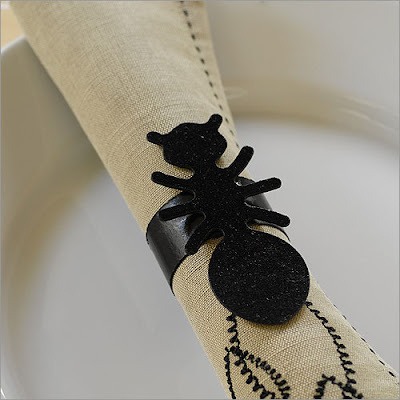 Ant Napkin Rings Set: These black ant napkin rings hold your napkins with grace and are sure to bring charm and conversation to your dinner table. 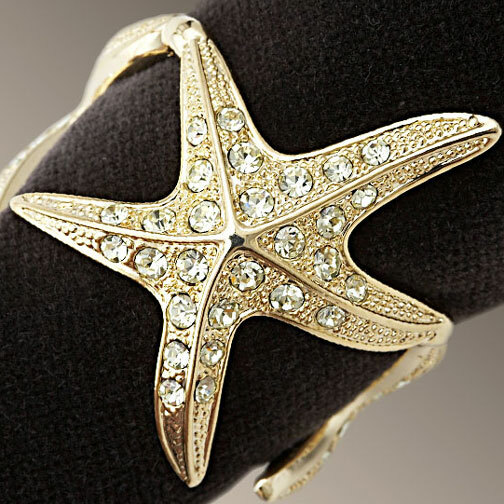 Starfish Napkin Rings: These are plated with 14 kt gold and studded with yellow Swarovski crystals. 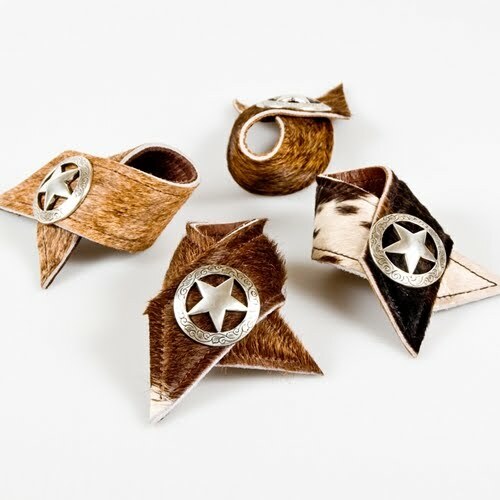 Leather Napkin Rings: These napkin rings are hand-made in Texas with assorted cowhide leather and are sure to bring western touch to your kitchen and dining table. Swan Inspired Napkin Holder: Its perfect and graceful, made of silver, the design of this sculpturistic object is partly inspired by the natural beauty of a swan. 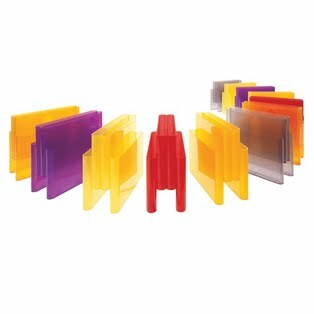 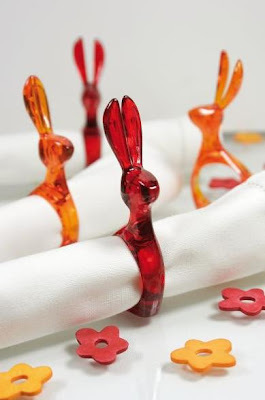 Rabbit Napkin Holder: These are made from high quality translucent or solid colored plastic. 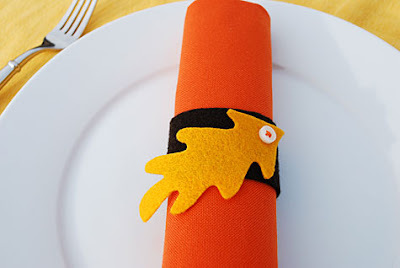 Chalkboard Napkin Rings: These serve as a napkin ring and placecard holder at the same time. Chirp! 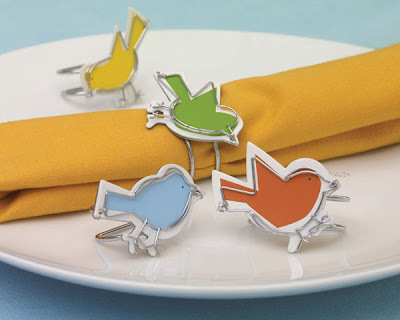 Napkin Rings: "Your guests will be chirping over these adorable napkin rings." Birds Paper Napkin Rings: Cut from solid colored cardstock, these birdies can be made in any color and could also double as place cards. 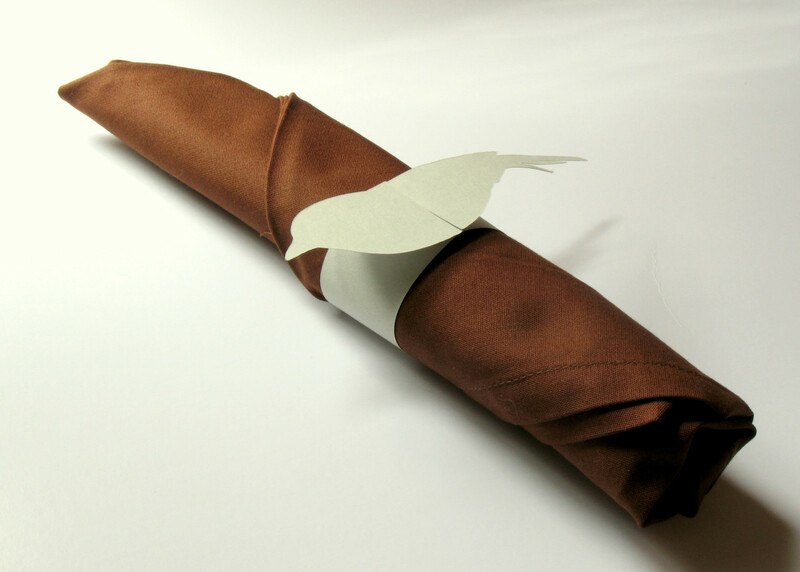 Herb Napkin Rings: Made by artist Michaud, these incredibly detailed pieces represent 8 different culinary herbs and are finished in gold over copper. 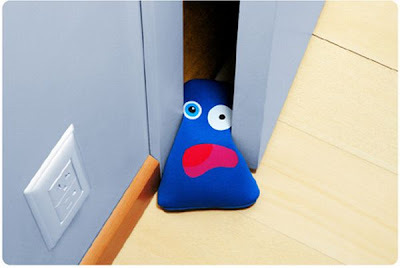 Collection of ‘Unique and Awesome Pillow Designs' from all over the world. 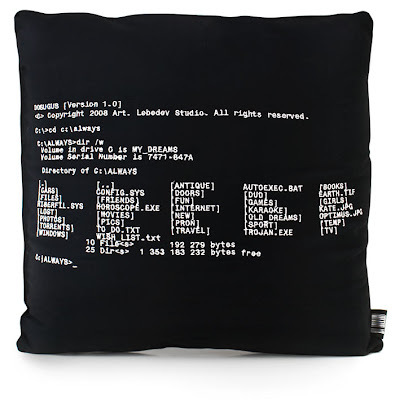 The Napbook - A Laptop Bag That Doubles As A Pillowcase: An idea from Icelandic designer, Hafsteinn Juliusson who made the standard notebook computer bag/case extra thick and fluffy, so that it can be used as a pillow too. Book Pillow: This creative pillow design looks like a regular book. 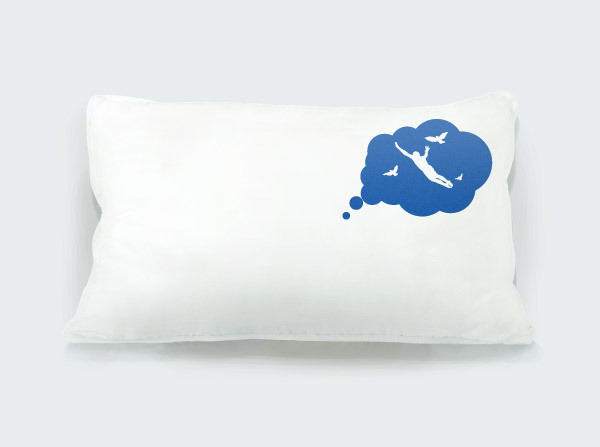 iSleep Laptop Pillow: With this cool pillow you can comfortably sleep on your laptop. 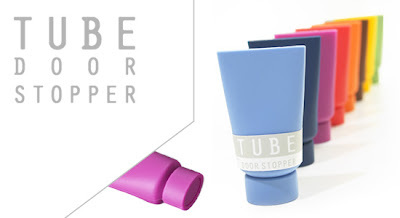 All you need to do is close your laptop and iSleep pillow gets filled with warm air, music is being played and the alarmclock rings after 10 minutes. DOS Pillow: "Dosugus pillow looks like a black screen with good old DOS directories embroidered on it". iDream Pillows: Creative iDream pillows illustrate your dreams while you sleep. 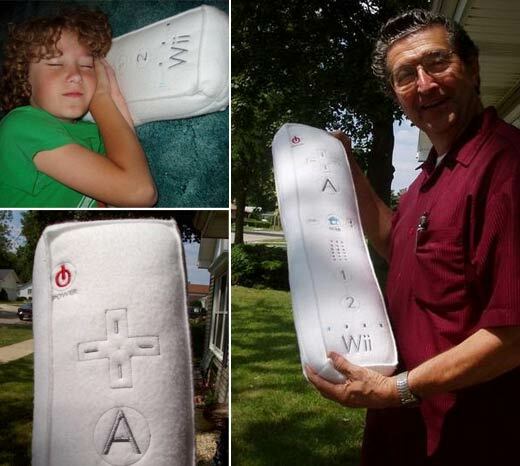 Nintendo Wii Controller Pillow: If its not enough with your Nintendo Wii; then you can take it to bed with this plush Wiimote pillow. Sushi Pillows: Cool pillow look like huge pieces of sushi. 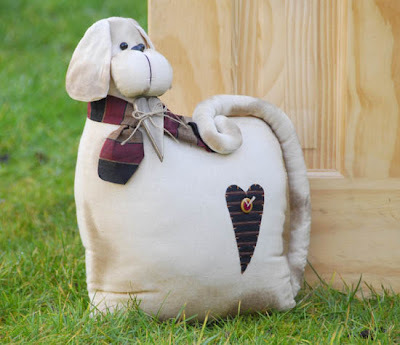 Animal Pillows: These cozy pillows are the creation of A Stewart and Hornet Toys. 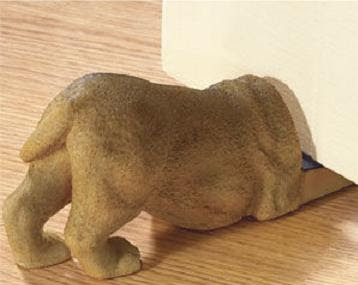 They feature designs of bow-wow-beautiful doggies and purrrfectly snuggle-worthy kitties. 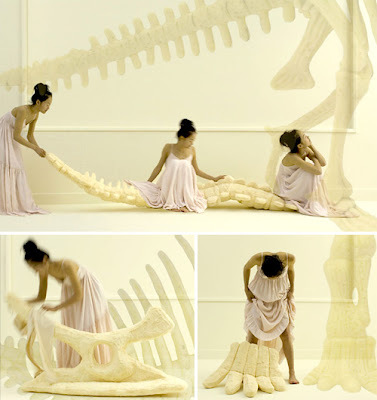 Dinosaur Pillows: Cool life-sized replicas of real dinosaurs; made from soft rubber-coated foam. 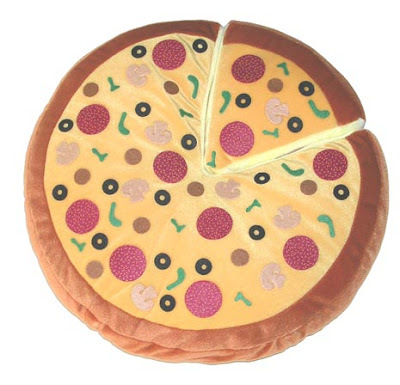 Pizza Pillow: Pepperoni Pizza plush pillow with cheese, lettuce, and beef. 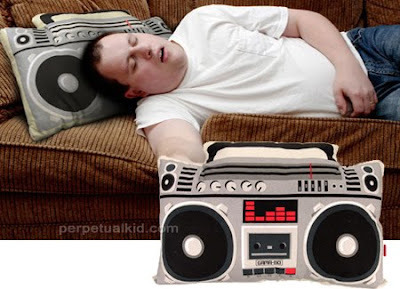 Boombox Pillow: This uber 80's boombox pillow is 100% cotton and measures 16" x11". 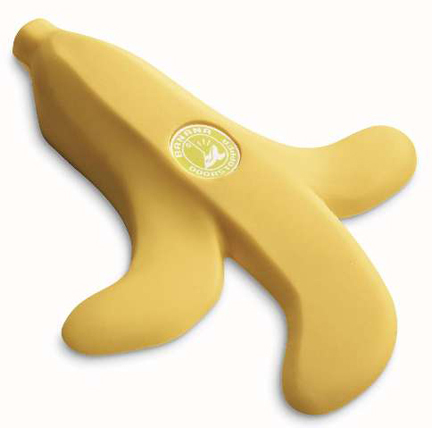 Nintendo Controller Pillows: These cool pillows are inspired by the famous Nintendo entertainment system controller. 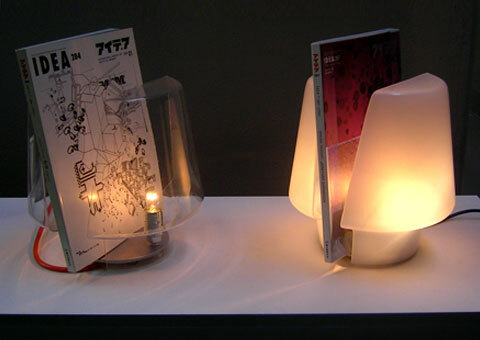 dlight Huggable Pillows: Innovative combination of ambient lighting and pillows. 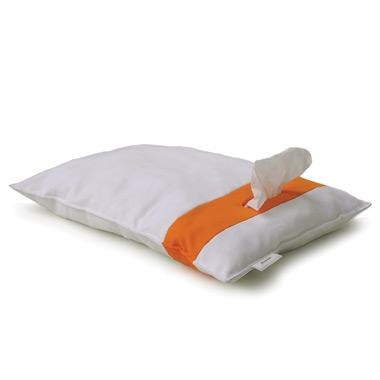 Tissue Pillow: This washable pillow is integrated with refillable kleenex-dispenser. 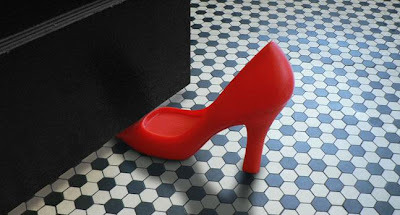 Don't miss to check out "Unique and Awesome Pillow Designs - Part: 1| 2| 3| 4| 5| 6| 7| 8." 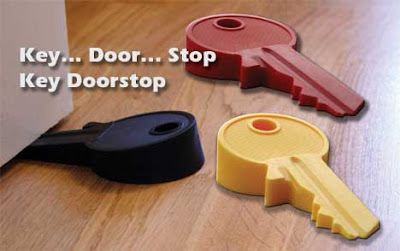 Collection of ‘Creative and Cool Doorstops' from all over the world. 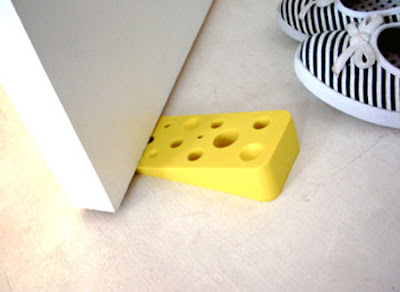 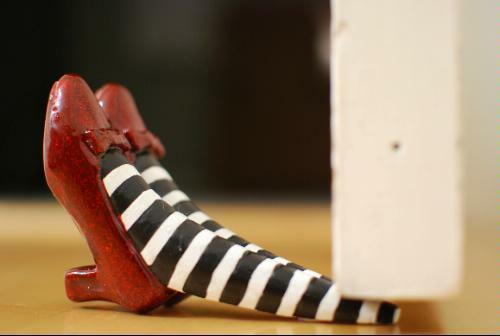 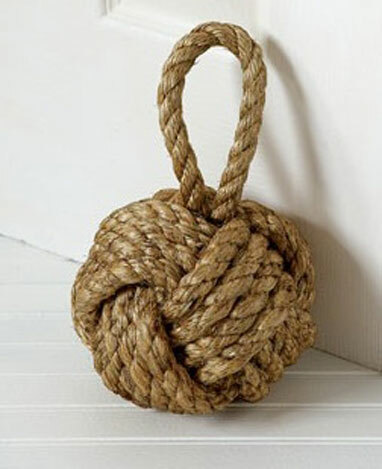 Don't miss to check out "Creative and Unusual Doorstops - Part: 1| 2." Collection of ‘Creative and Cool Magazine Holders' from all over the world. Fetch: An interesting design by Rafael Morgan and P Hendrikx, from Studio Mango. 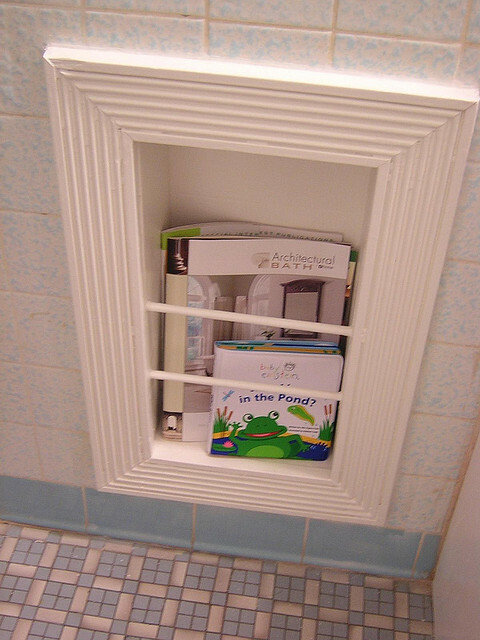 "This is a trained dog, so you wont need to yell on your best friend this time, when he takes your magazines and newspapers!" 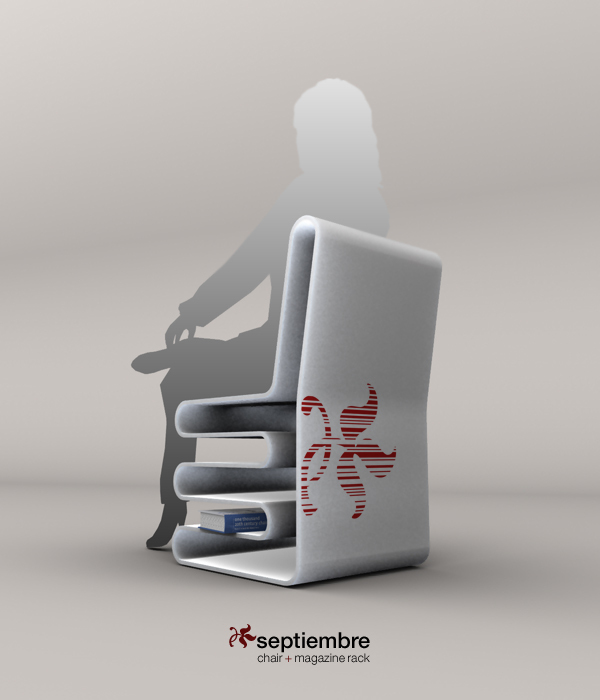 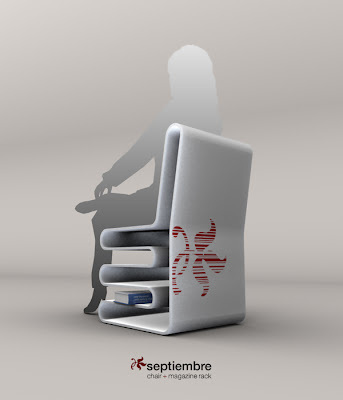 Septiembre (Chair+Magazine Holder): Designed by Iranzo Sanchez, its designed around two key concepts; airiness and simplicity. 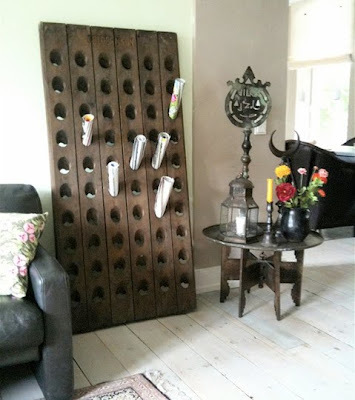 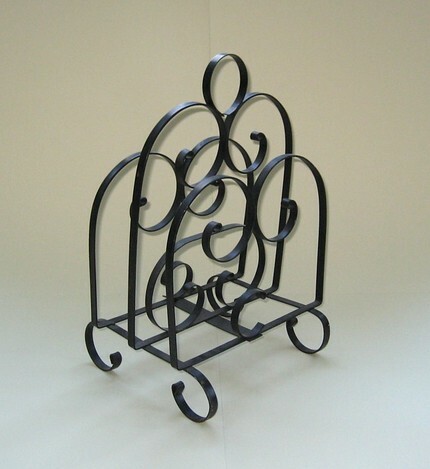 Vintage Holder: A vintage holder often seen in restaurants is repurposed as a magazine holder. 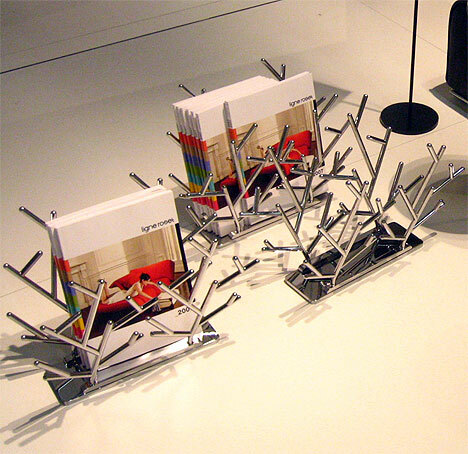 Magtable Coffee Table: Designed by Satina Turner. 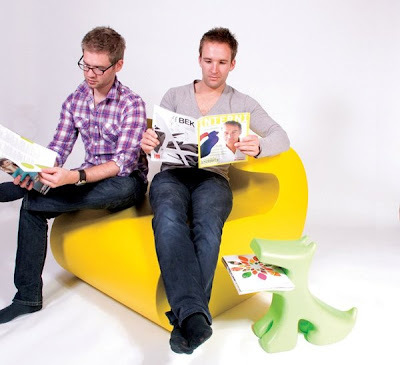 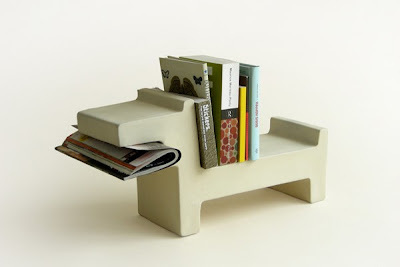 The Sheep: Designed by Dutch design studio Spluss, this magazine storage holder serves as a creative seating too. 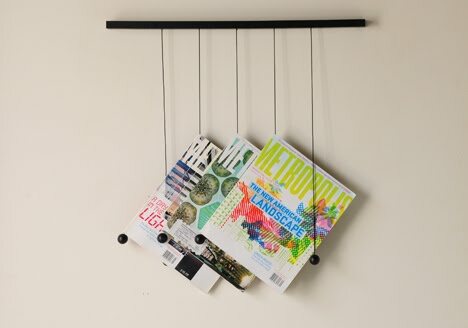 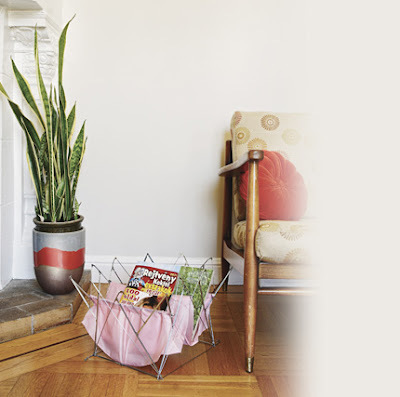 Magazine Hanger: With this one you can display your favorite magazines on the wall. 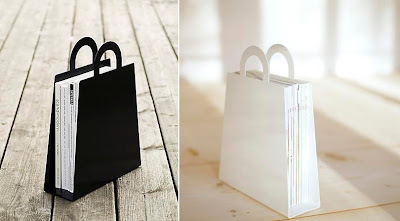 Magazine Bag: Designed by Malin Lundmark. 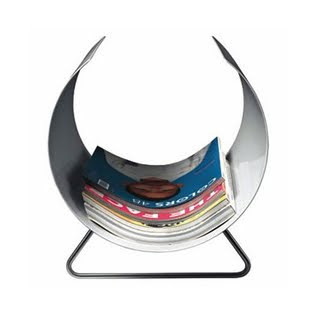 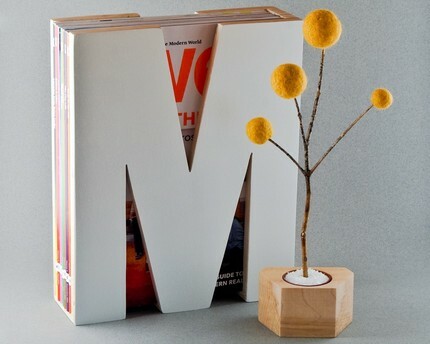 Mela: This classic looking magazine holder is the creation of designer Anna Buechin. 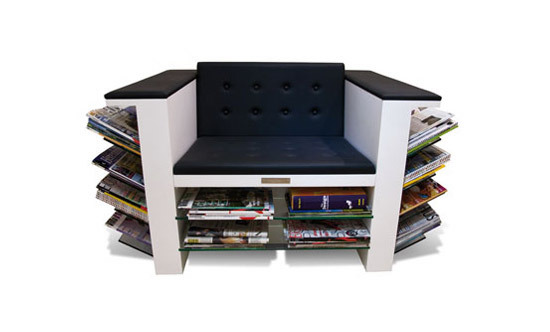 It features a matte exterior and a high gloss interior with a pedestal base. 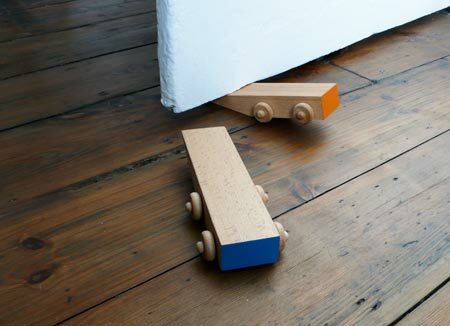 Subway: Designed by T Bernstrand for Swedish company Materia. Its based on the classic advertisement pillars with layers and layers of posters. 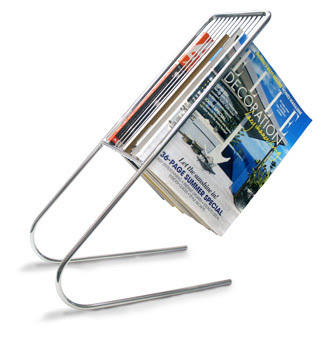 Sprung Magazine Holder: Designed by Sodeau; this simple design is good for both magazines and newspapers. 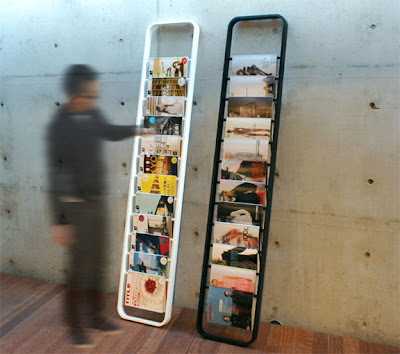 W Magazine Stand: Design by E Pfeiffer; its compact enough for small spaces. 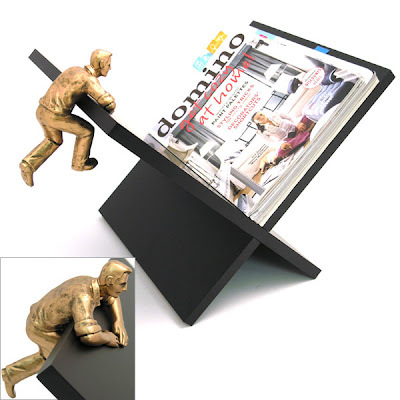 Thinking Man Magazine Holder: "Add an artistic touch and keep your magazines and newspapers organized". 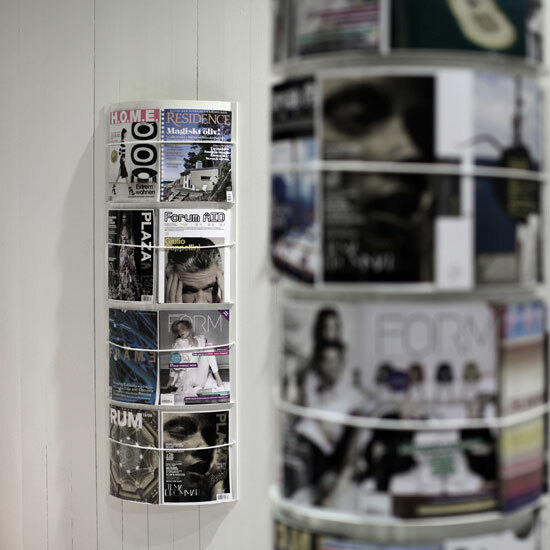 Illuzine Magazine Holder: Design by Satina Turner. 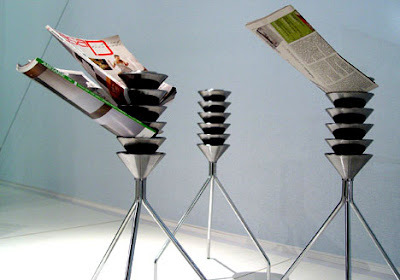 Magazine Lamp: This cool reading lamp doubles as a stand for your magazines. 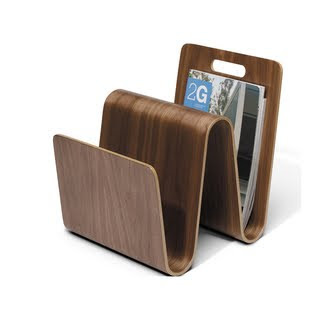 M Magazine Holder: It can hold up to 10 magazines. 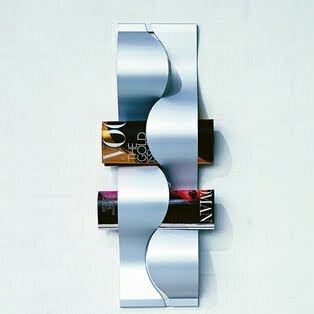 Chrome Magazine Holder: Interesting way to display and organize your collection of magazines. 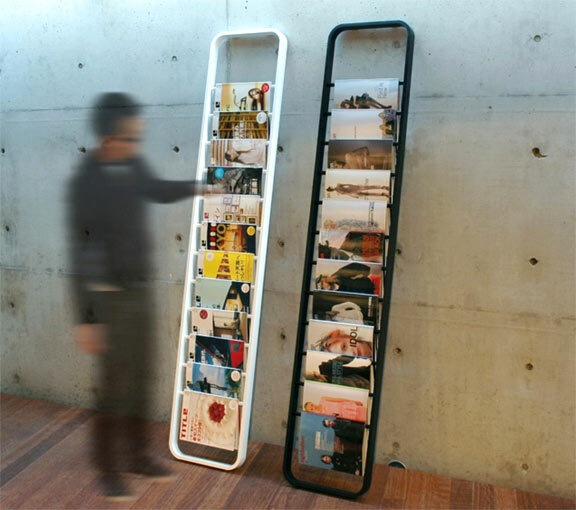 Portariviste Four-Pocket Magazine Holder: Designed by Giotto Stoppino. 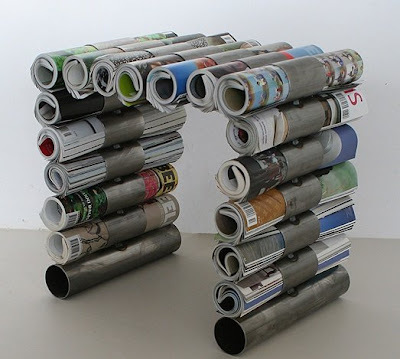 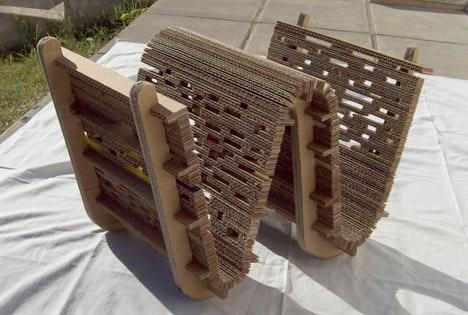 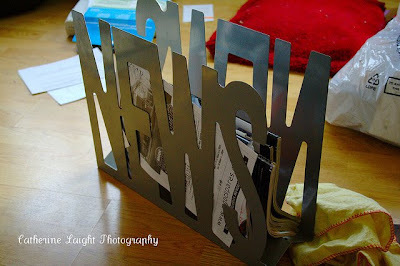 Don't miss to check out "Cool Magazine Holders and Creative Magazine Racks - Part: 1| 2."